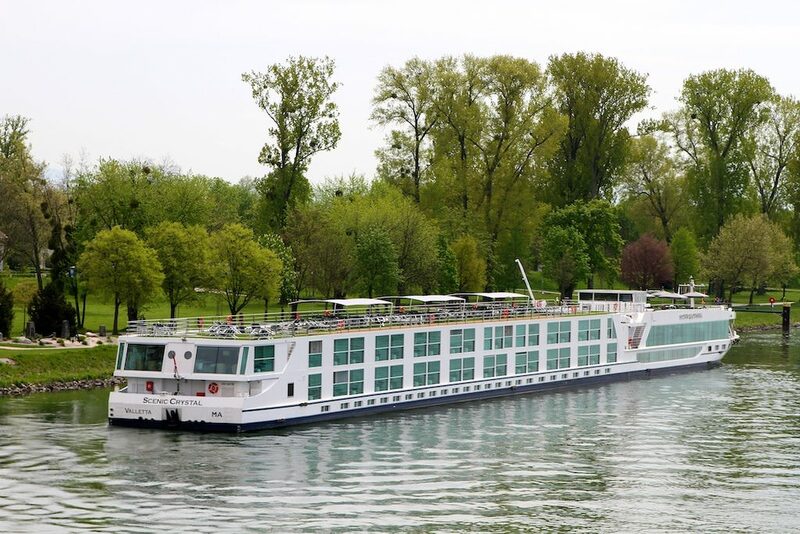 Scenic Crystal, docked in Kehl, Germany, across the river from Strasbourg, France. 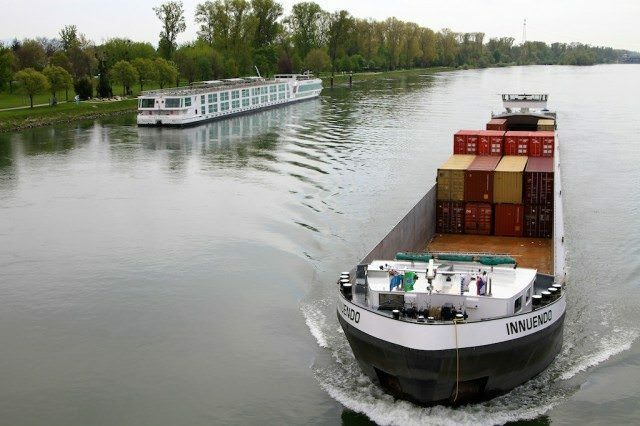 Internet access is challenging on this stretch of the Rhine, as Scenic Crystal makes its way toward Basel, Switzerland. Those who need to stay connected may want to make note. 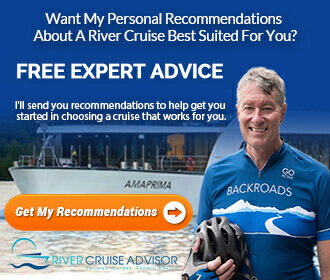 Sending simple emails works fairly well, but accessing web pages ranges from being exceptionally pokey to impossible. For example, pulling up my flight reservations on an airline website proved to be futile during two hours of trying this morning. 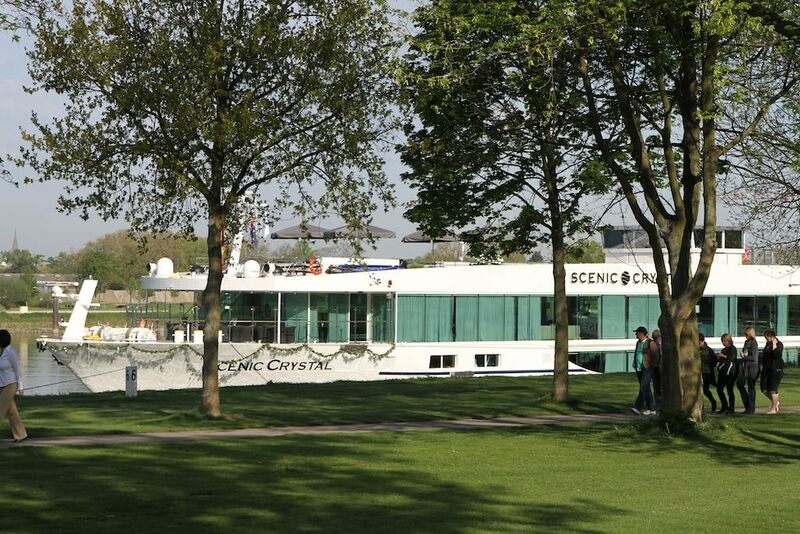 Today, Scenic Crystal docked in Kehl, Germany. 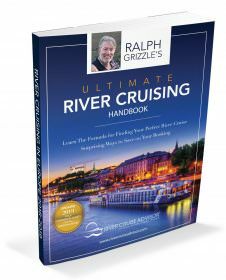 Across the river was France and the beautiful city of Strasbourg. Included tours gave guests the option of touring Strasbourg or heading out into the Alsatian countryside to the town of Barr for a vineyard visit and wine tasting. Three of Scenic’s four motor coaches went to Strasbourg, the more popular choice, while one headed to Barr. 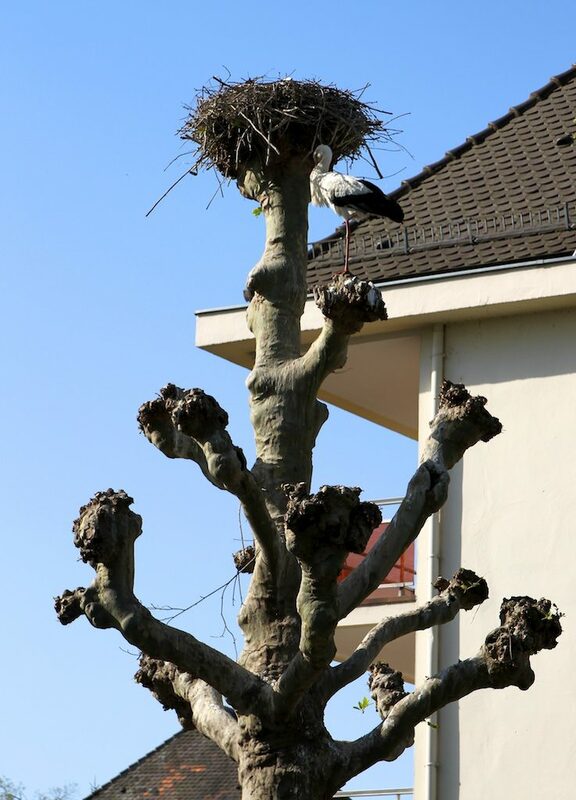 Our guide stopped our motor coach so that we could get out to photograph some of the many storks that make their home in Strasbourg. Our charming guide provided an overview of Strasbourg, explaining what it was like to live in a city that had frequently changed hands between being French and German. 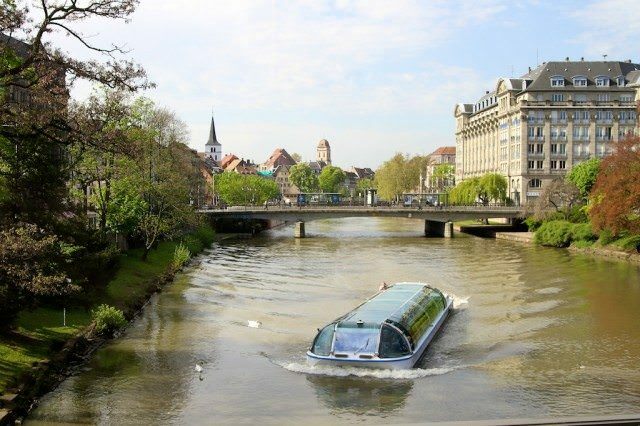 A popular way to see Strasbourg: on a boat tour. 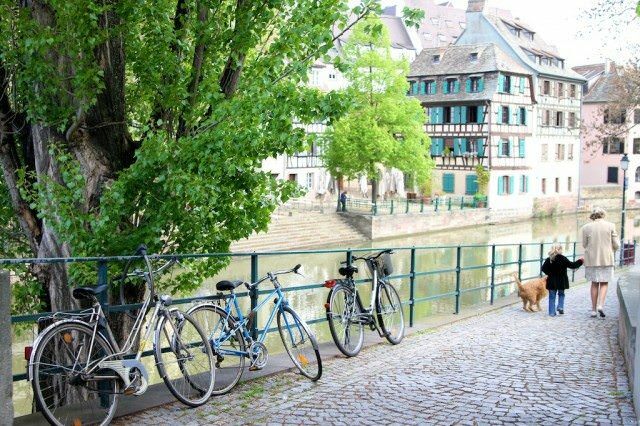 Strasbourg’s historic city center, the Grande Île (Grand Island), was classified a World Heritage site by UNESCO in 1988. We spent two hours walking in the historic city center. 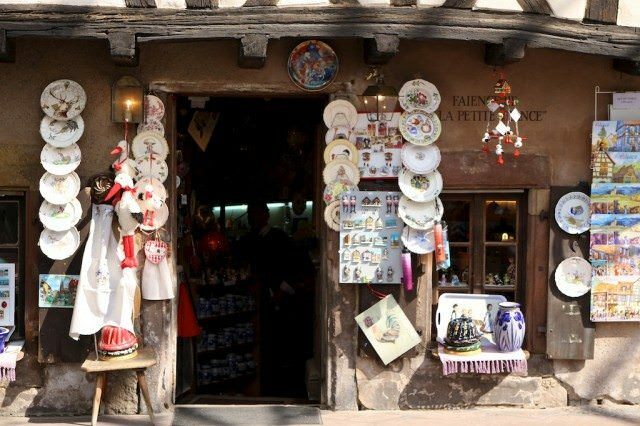 Strasbourg loosely translates into “town at the crossroads,” from the German Straße/Strasse (street) combined with the French word bourg (village). 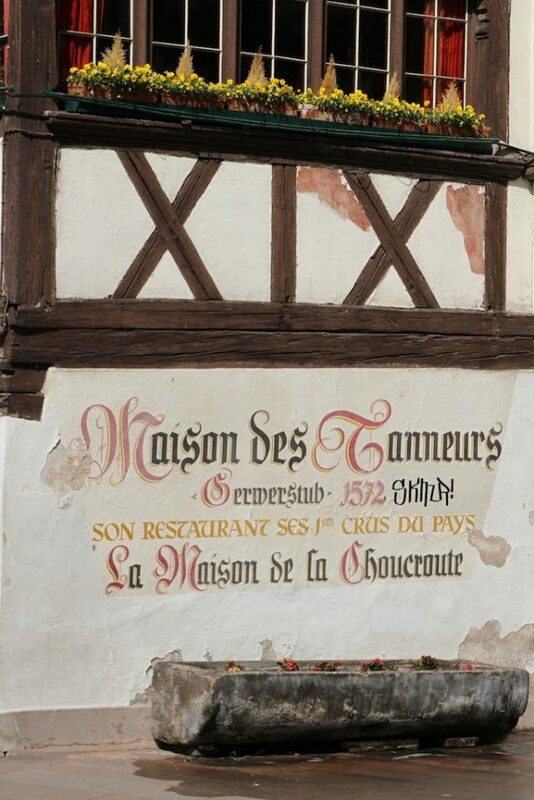 Strasbourg celebrated its 2,000th birthday in 1988. Imagine! We toured Strasbourg’s Petite-France district alongside the Ill.
Are the steps straight and the building leaning or vice versa? 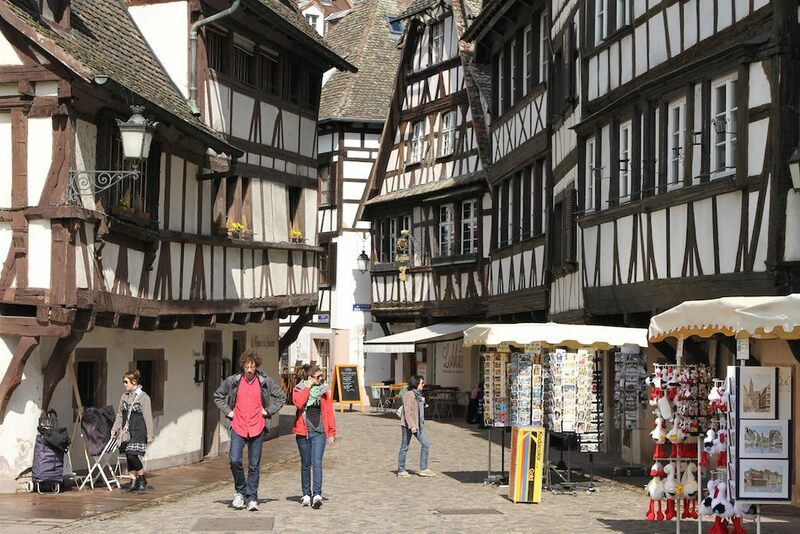 Strasbourg is noted for its white its timber-framed houses. Charming shops are abundant in Strasbourg. 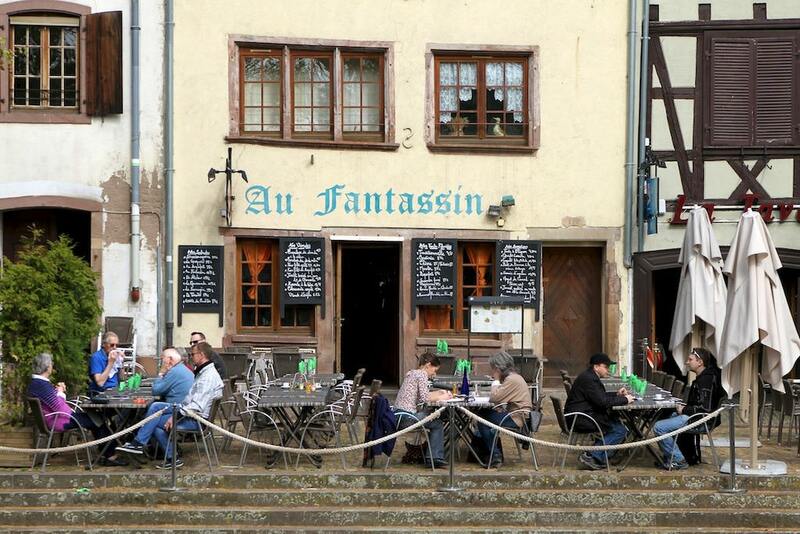 Strasbourg is a city where I wish we could have stayed longer. Lots of fine restaurants, like this one, and lots to see and do. Construction began in the 12th century on Strasbourg Cathedral, which was completed in 1439. 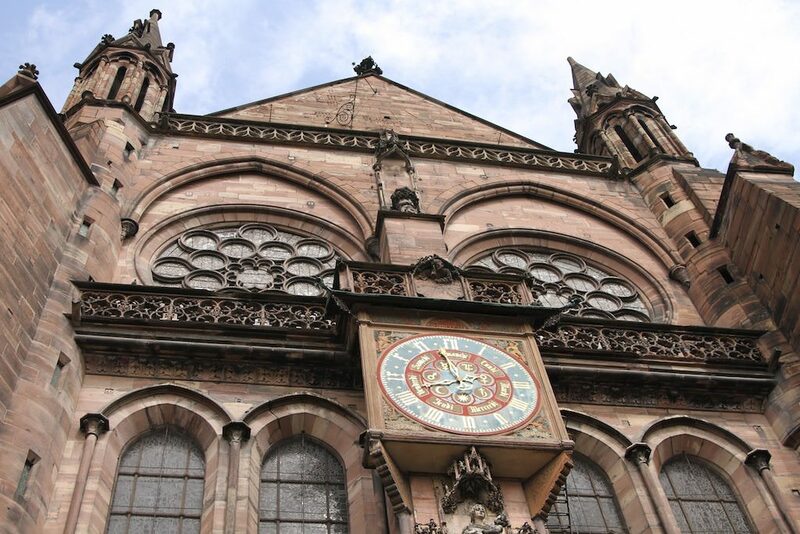 One of the biggest attractions at the Strasbourg Cathedral is its famous astronomical clock. 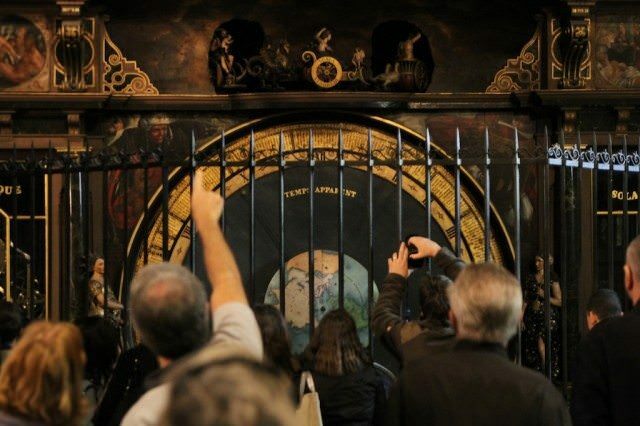 The Cathedral was once the World’s Tallest Building, surpassing the Great Pyramid of Giza. 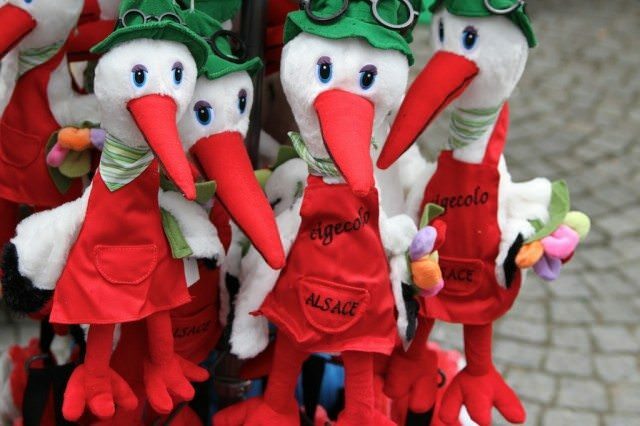 If Strasbourg had a mascot, it would be the stork. 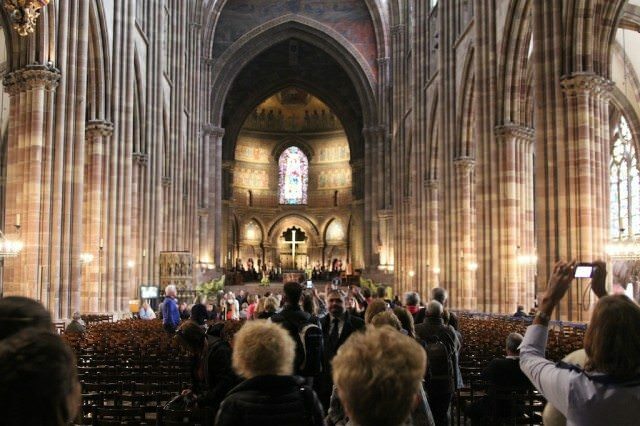 After touring Strasbourg, we headed back to Germany and the Scenic Crystal. 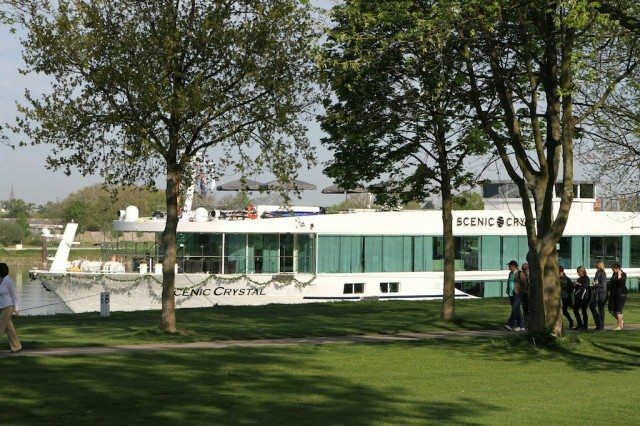 Home, Sweet Home: Scenic Crystal docked on the Rhine in Kehl, Germany.